Those filing for bankruptcy are getting hit by phone scammers in several U.S. states. The scammers pretend to be attorneys and use personal information to fool victims into sending them money to pay debts. A warning has been issued by the National Association of Consumer Bankruptcy Attorneys assuring consumers that an attorney or staff member of a legal bankruptcy firm would never phone a customer to ask for money to be wired. Of course, they also stated that the scammers threaten that an arrest is imminent if people don’t comply, and there is simply no truth to these threats. Vermont and Virginia have been hit especially hard, and the Attorney General of Vermont stated that software is being used to change the caller IDs so the numbers appear to be coming from the attorney of the person who has filed for bankruptcy. Since calls are usually made in the evening or weekend, people aren’t able to immediately contact their attorneys to verify the information. If you receive a call like this, you are advised to immediately end the call and contact your own bankruptcy attorney as soon as possible. Never give any personal information or financial information to someone on the phone. 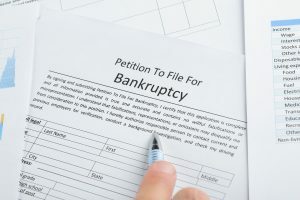 If you need help with filing for bankruptcy, contact Heather Moseman at Moseman Law with questions. We will answer your questions and help you find the best solutions to your financial problems.